golfing experience and give back to a great cause! Why not play?? 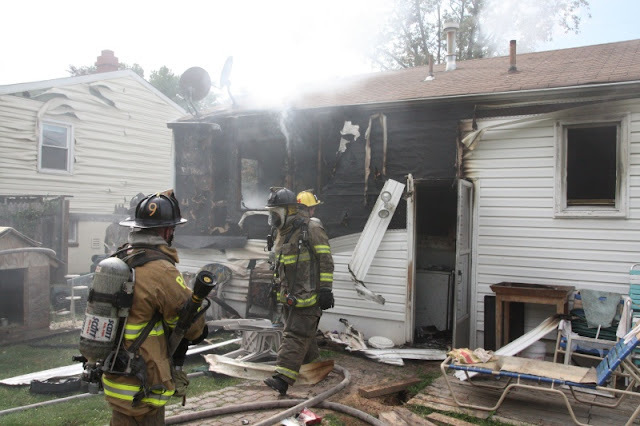 Prince George’s County Firefighters battled four unrelated structure fires within a 12-hour period. These fires, 3 single family homes and 1 apartment, resulted in an estimated $135,000 in fire loss and displaced 13 adults and 3 children from their homes. The County Citizen Services Unit and American Red Cross provided assistance to the displaced residents. Fortunately, no civilian or firefighter injuries were reported. The first incident occurred just before 8:00 pm on Tuesday, September 27, at a 2-story single family home in the 9300 block of Sherwood Drive in Forestville. The fire was quickly contained with damage being limited to the attic. It appears the cause is electrical in nature with loss estimated at $8,000. Three adults and two children were displaced. Just after 9:30 pm firefighters from Bladensburg and other nearby Fire/EMS Stations responded to a house fire in the 4900 block of Quincy Street. Fire/EMS units arrived and encountered a 2-story single family home with fire showing from the first floor. The fire was knocked down within 10 minutes. 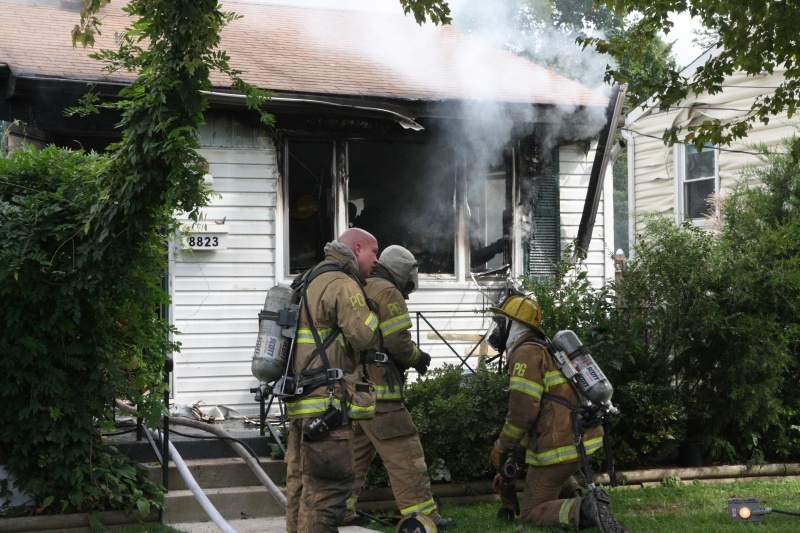 An unattended candle ignited the fire that caused an estimated $40,000 in loss and displaced the two adult occupants. Just after 11:00 pm firefighters arrived at an apartment building in the 6800 block of Red Top Road in Chillum and fought a fire in a basement apartment. The fire was knocked down in about 5 minutes. 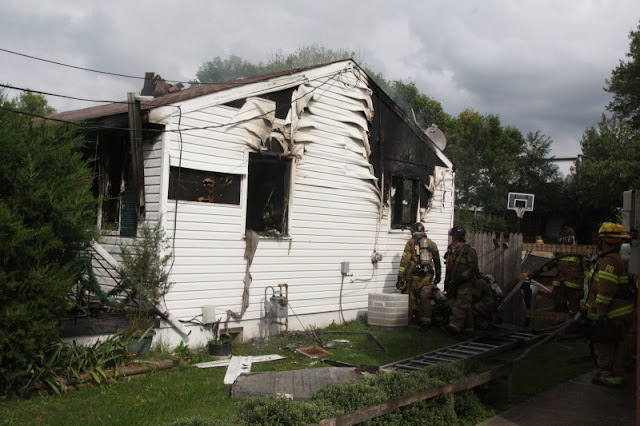 The cause of this fire is believed to be electrical and resulted in an estimated $35,000 in loss. Seven occupants were displaced. 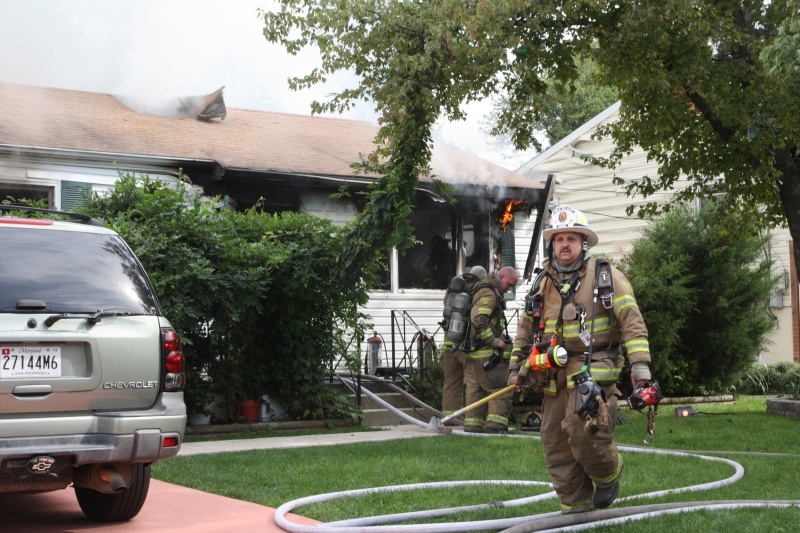 On Wednesday, September 28, firefighters from the Upper Marlboro area were alerted to a fire in a house in the 11800 block of Fairgreen Lane. Fire/EMS units arrived and located a working fire in the basement. The blaze was extinguished within 15 minutes. The cause is under investigation. Fire loss to the structure and contents is estimated at $35,000. One adult and one child were displaced. 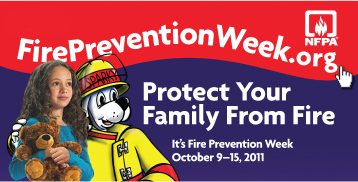 Fire Prevention Month - Open House Events!!! October has traditionally been the month that Fire Departments highlight the need to practice fire prevention education. Although, in Prince George's County, firefighters take this responsibility to heart and to your front door all year long. Firefighters throughout the course of the year go door-to-door throughout communities providing fire safety information and checking smoke alarms to ensure they are working. In October, we invite you to come to our house. Fire/EMS Stations throughout Prince George's County will open their doors and hold Open House events to help educate and inform citizens and residents of all ages about the need for fire safety and injury prevention. Additional locations and dates will be added as they become available. "Protect Your Family from Fire"
According to an NFPA survey, less than one-fourth of Americans have both developed and practiced a home fire escape plan (PDF, 640 KB). One-third of Americans households who made and estimate they thought they would have at least 6 minutes before a fire in there home would become life threatening. The time available is often less. And only 8% said their first thought on hearing a smoke alarm would be to get out! Automatic fire sprinkler systems cut the risk of dying in a home fire by about 80%. Cooking equipment is the leading cause of home structure fires and associated injuries, and was tied for the third leading cause of home fire deaths. Unattended cooking was by far the leading cause of these fires. Households using electric ranges have a higher risk of fires than those using gas ranges. Nearly half (45%) of microwave oven injuries seen at emergency rooms in 2009 were scalds. U.S. fire departments responded to an average of 155,400 cooking-related home fires each year between 2005-2009, causing an average of 390 deaths, 4,800 injuries and $771 million in direct property damage. Fires involving heating equipment peak in December, January and February, as do deaths from these fires. Overall, homes fires and home fire deaths are also more common in the cooler months of the year. Heating equipment was the second leading cause of all reported home fires and home fire deaths. U.S. fire departments responded to an average of 64,100 heating-related home fires each year between 2005-2009, causing an average of 560 deaths, 1,620 injuries and $904 million in direct property damage. 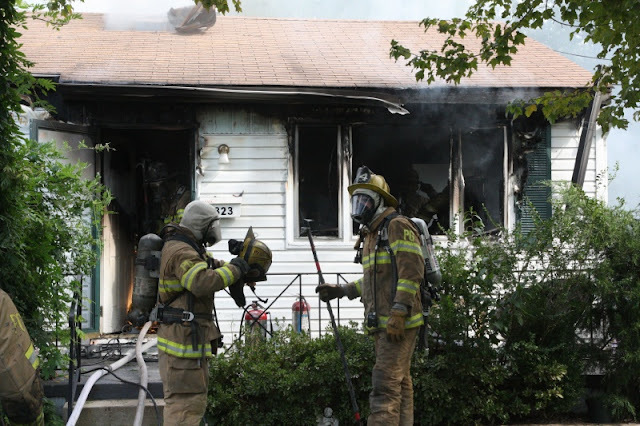 The risk of dying in a home structure fire caused by smoking materials rises with age. U.S. fire departments responded to an average of 18,900 smoking-relate home fires each year between 2005-2009, causing an average of 660 deaths, 1,270 injuries and $492 million in direct property damage. 41% of home electrical fires involved electrical distribution or lighting equipment. 53% of home electrical fires involved other known types of equipment, including ranges, washers/dryers, fans and space heaters. During 2005-2009, electrical distribution and lighting equipment was involved in the ignition of 23,400 home structure fires, on average, per year. These fires caused an average of 390 deaths, 970 injuries and $822 million in direct property damage. Roughly two-fifths of these fires started in the bedroom. During 2005-2009, candles caused an average of 12,900 home fires, 140 home fire deaths, 1,040 home fire injuries and $471 million in direct property damage. For additional information on fire prevention contact the Prince George's County Fire/EMS Department Community Outreach office at 301-883-5250. For a smoke alarm installed in your home, free of charge, contact our Safety First Smoke Alarm Line at 301-864-SAFE (7233). Tragically, there have been two separate incidents of death of young children by (reported) drowning in Prince George’s County, Maryland, within hours of each. The Prince George’s County Fire/Emergency Medical Services (EMS) Department is the lead agency in the Prince George’s County Coalition of Safe Kids USA and we want to remind parents and caregivers of basic safety tips to avoid these tragic incidents. Safe Kids USA is a nationwide network of organizations working to prevent unintentional childhood injury, the leading cause of death and disability for children ages 1 to 14. Safe Kids USA educate families, provide safety devices to families in need and advocate for better laws to help keep children safe, healthy and out of the emergency room. The home environment has many hidden drowning hazards for children. Drowning deaths can occur not only in pools and spas, but also in bathtubs, toilets and buckets. Keep these safety tips in mind to make your home safer from these hidden hazards. The best advice is to never leave a child alone in a bathtub or in any body of water, even just for a moment. On Monday evening around 8:45 pm firefighters and paramedics worked to save the life of a 6-year-old female that caregivers reported had drowned in a bathtub on Hubbard Road in Landover. On Tuesday morning, around 10:45 am, firefighter/medics did everything they could to save the life of an 11-month-old male reported to have drowned in a bathtub on Evans Trail in Beltsville. Despite the best efforts of dispatchers, firefighters, medics and emergency department staff both of these children succumbed. The County Police Department is investigating each of these tragic deaths. For additional information about programs to promote safety for children contact the Fire/EMS Departments Community Outreach office at 301-883-5250. For additional information on CPR courses call the Fire/EMS Department's CPR Information line at 301-864-LIVE (5483). The men and women of the Prince George’s County Fire/EMS Department and Safe Kids USA provide the following safety tips. Remember, Safety First – Ensures Everyone Goes Home. Large 5-gallon buckets are common household items and may be a potential hazard. Empty all buckets, containers and wading pools immediately after use. Store them upside-down and out of children’s reach. Keep toilet lids closed and use toilet seat locks. According to the CPSC, toilets are overlooked as a source of drowning in the home – toddlers can fall headfirst into the toilet. Never leave your child unattended in a tub or around any other body of water, even if he or she knows how to swim. Children in baby bath seats and rings must be watched every second. Learn adult and infant CPR. One-third as many children under age 5 drown from other hazards around the home as drown in pools (CPSC). Two-thirds of drowning deaths in the home, not including pools, occur in bathtubs (CPSC). Home swimming pools are the most common place for a child younger than age 5 to drown.